Dogue De Bordeaux is coming on no. 10 in our tallest domesticated dods list. 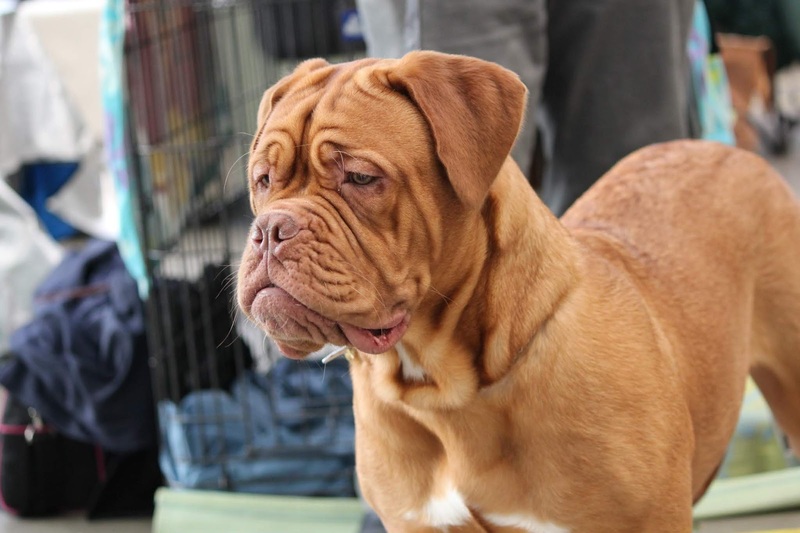 Dogue De Bordeaux is also known as French Mastiff, Bordeaux Mastiff, and Bordeaux Dog. Height os the Dogue De Bordeaux is up to 27 in / 68.6 cm. And the weight of the Dogue De Bordeaux is 110 lb / 50 kg. Colour of the Dogue De Bordeaux is red to brown. The diet of the Dogue De Bordeaux is roasted chicken, rice, other meats, etc. Puppy Dogue De Bordeaux dog can cost between $1000 - $1300. Bullmastiff is a very fat dog. 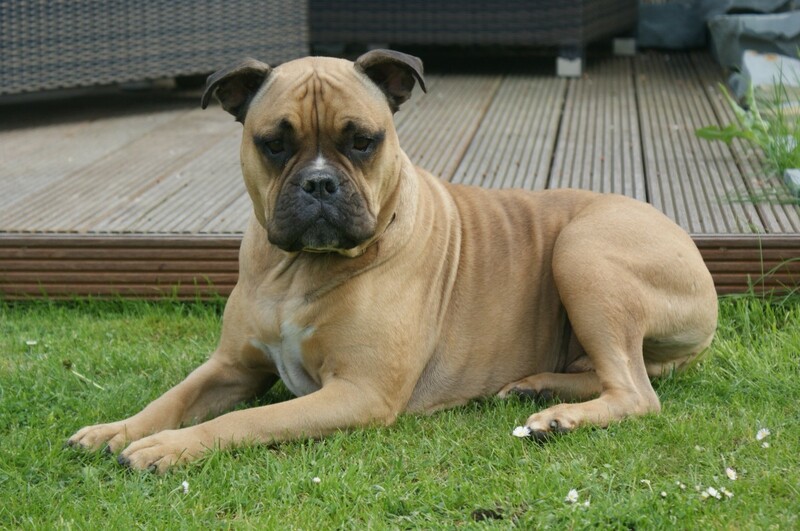 The Height of the Bullmastiff dog is equalled to Dogue De Bordeaux's height which is 27 in / 68.6 cm. The weight of the Bullmastiff is 130 lb / 59 kg. The colour of the Bullmastiff is red, white and red, and fawn. Diet of the Bullmastiff is banana, apple, tomato, strawberry, and high-quality dog food. They can found in all countries as a pet. And the average cost of puppy Bullmastiff is around $1500 to $2000. 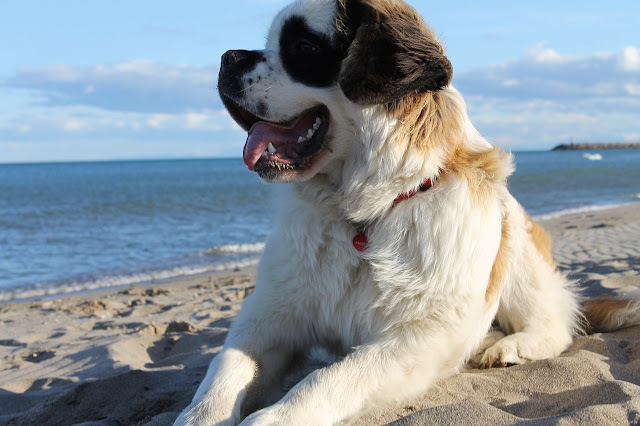 Bernese Mountain Dog and Saint Bernard both dogs have an equal height which is 27.5 in / 69.9 cm. Bernese Mountain Dog is also known as Berner. They have big hair on their body. Colour of the Bernese Mountain Dog is white, black and brown. Size of this dog is very large. Hair size of Bernese Mountain Dog is very large. 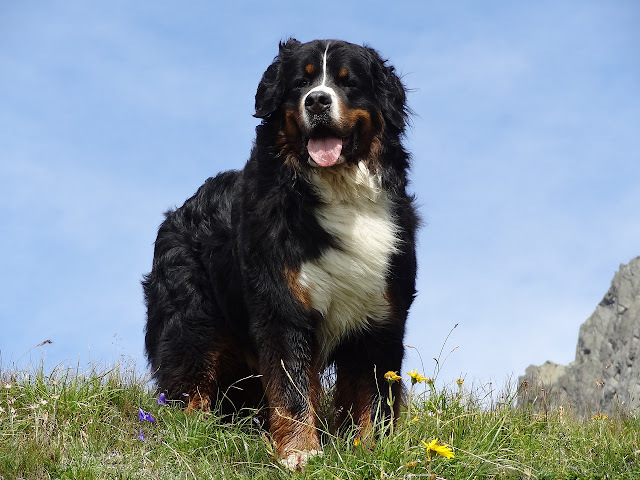 Diet od the Bernese Mountain Dog is chicken meat, rice, etc. Cost of one Bernese Mountain Dog is around $2000. Saint Barnard cost up to $1500. There are many colours are available in Saint Barnard which are Brownish-yellow, Reddish brown mantle, etc. The weight of Saint Barnard is up to 120 kg / 264.5 lb. They are very beautiful dogs. Newfoundland has very large hairs on their body. 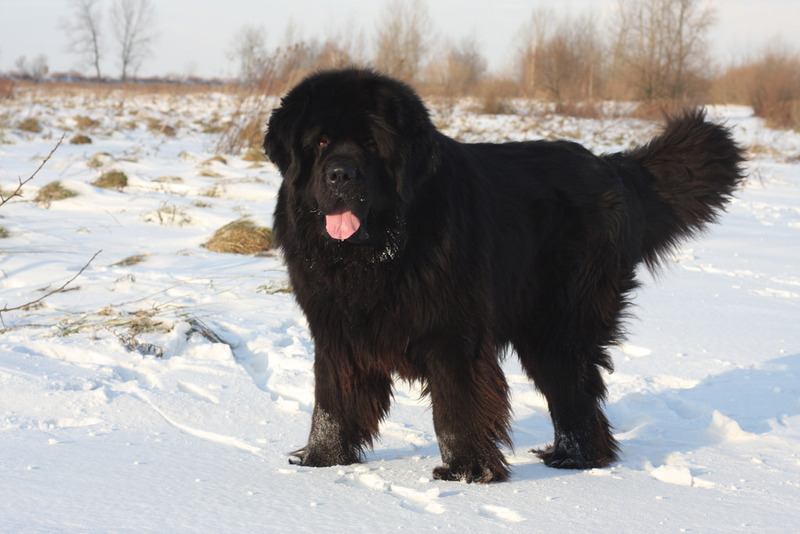 The height of the Newfoundland is up to 28 in / 71.1 cm. And the total weight of the Newfoundland is 154.3 lb / 70 kg. Colour of the Newfoundland is black, brown, white and black. Newfoundland is a working dog. They are specially used in snow area as a helper. They have big hairs on their body. Diet of the Newfoundland is chicken meat, oatmeal. One puppy Newfoundland can cost up to $1500. They are mostly found in Canada. They are mostely found in cold area. 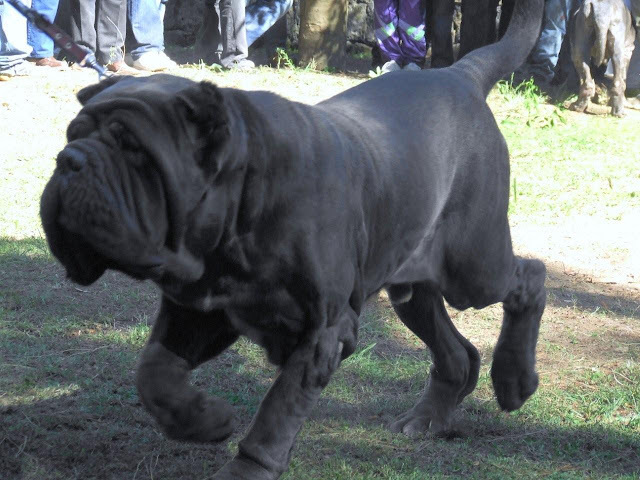 Neapolitan Mastiff is also known as Mastino, Italian Molosso, can'e presa, Mastino Napoletano. The total height of the Neapolitan Mastiff is up to 31.5 in / 80 cm. And the weight of the Neapolitan Mastiff is around 154.3 lb / 70 kg. Colour of Neapolitan Mastiff is black, blue, and brindle. They are huge size dogs. And the size of a hair is short. Diet os the Neapolitan Mastiff is mostly dry fruits, and meat. And one single puppy of Neapolitan Mastiff can cost up to $2500. Neapolitan Mastiffs are mostly found in Italy. Leonberger is a mountain dog. Most of the pet lovers called them Leo. 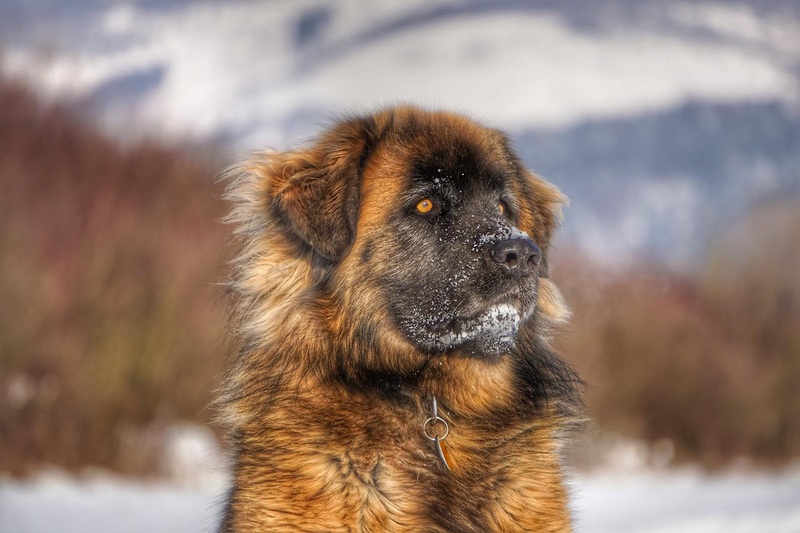 Leonbergers are the mountain dogs. The total height of the Leonberger is up to 31.5 in / 80 cm. And the total weight of the Leonberger is around 165.3 lb / 75 kg. Colour of the Leonberger is mostly red, brown, sand, red and yellow. They have very big hairs. They are mostly found in cold area. And one puppy Leonberger can cost up to $2000. Great Pyrenees is also known as Pyrenean Mountain Dog. 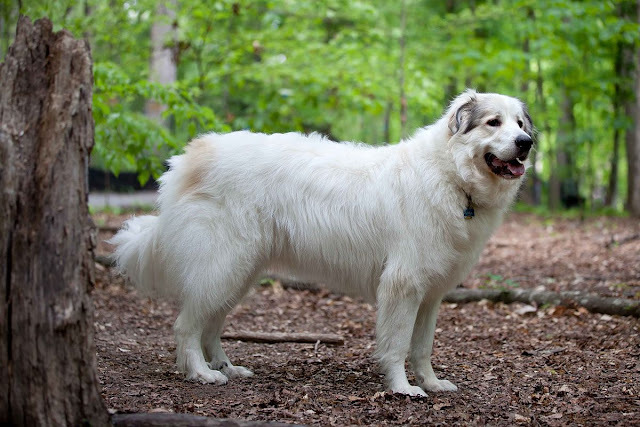 The height of the Great Pyrenees is up to 32 in / 81.3 cm. The colour of the Great Pyrenees is white. They are very large in size. And the weight of the Great Pyrenees is around 130 lb / 59 kg. 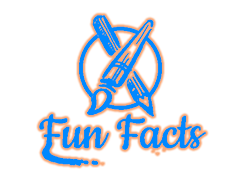 The lifespan of the Great Pyrenees is around 11 years. They are very beautiful white coloured animals. Hair size of Great Pyrenees is large. One puppy of Great Pyrenees can cost up to $5000. And the diet of the Great Pyrenees is dog food, rice, meat, etc. They are mostly found in New York, America, etc. Irish Wolfhound is very large in size. The height of the Irish Wolfhound is up to 32 in / 86.4 cm. And the total weight of the Irish Wolfhound is 180 lb / 81.6 kg. Colour of the Irish Wolfhound is black, white, grey, red and brindle. They have large hairs on their body including face. They are known for the big hairs on their face. 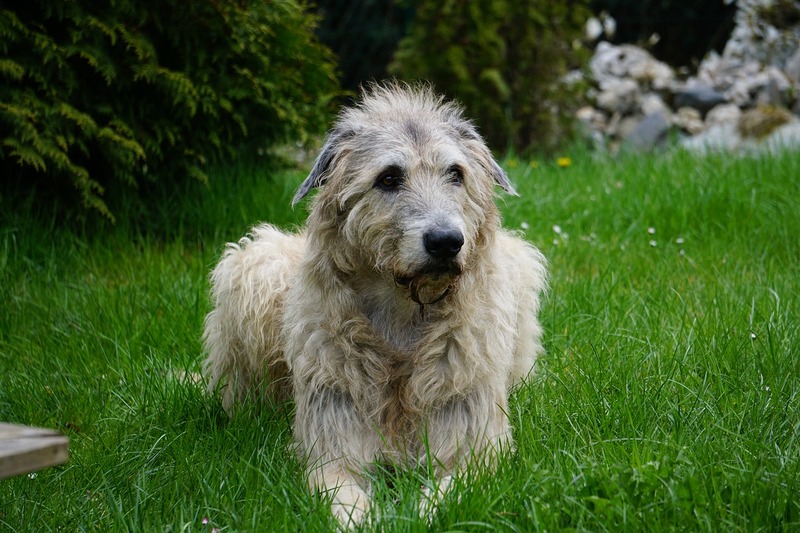 Diet of the Irish Wolfhound is chicken meat, fish, dog food and eggs. They are from Ireland. They are found all over the world as a pet. Cost of one puppy Irish Wolfhound is up to $2500. Great Dane is coming on the first position in our list of tallest domesticated dogs. 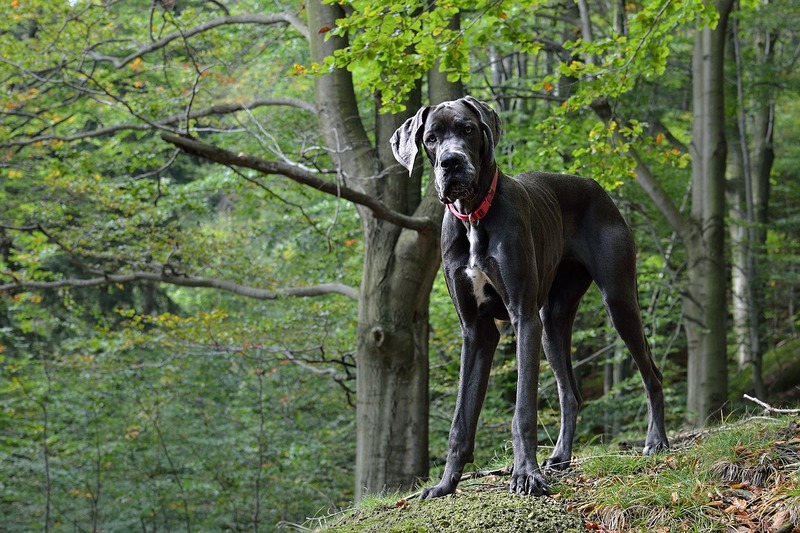 Great Dane is famous for their giant height. The height of the Great Dane is up to 44 in / 112 cm. The largest Great Dane dog named as Zeus. He made the world record for the tallest dog on earth. And he died in 2014. Colour of the Great Dane is black, brindle, blue, etc. Great Dane has short hair on their body. They are a very powerful dog on our list. The body of Great Dane is smooth. Diet of Great Dane is non-veg. They only eat meat, chicken, beef, etc. One puppy Great Dane can cost up to $3000. They can be found all over the world as a pet.